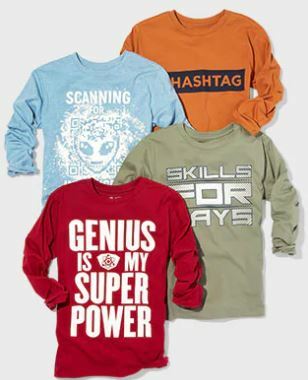 New school year, new clothes for your kids! The Children’s Place is running their Back to School Sale online now, everything is 50% off! Also, check out their Basic Denim special – all styles at USD $7.99 and Graphic Tee promotion – all styles below USD $4.99! You would not want miss out on all these great deals, start shopping now. Remember to sign up with us to get the items delivered right to your doorstep.